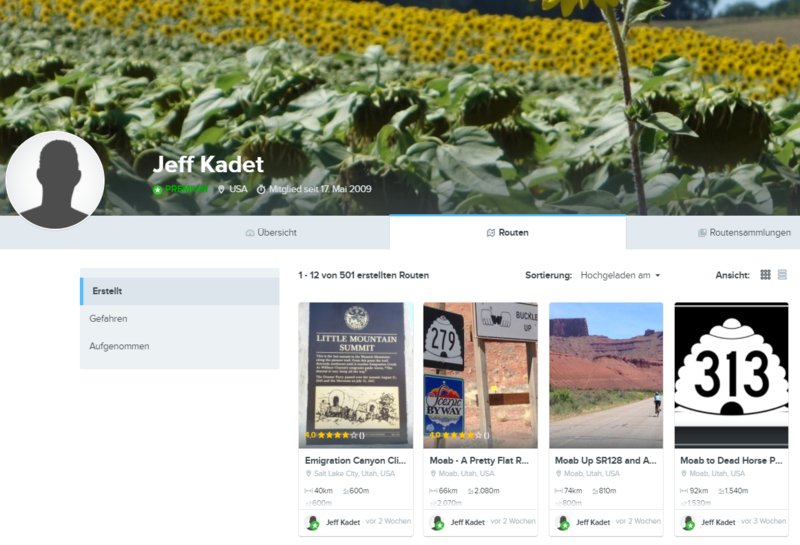 Jeff Kadet from Seattle is one of our long-term heavy users. Since 2009 he is as a premium user of Bikemap and created more than 500 routes. Reason enough to ask him some questions about his cycling passion and the impact as well as the advantages that Bikemap has on him and his cycling habits, including the moving story of his life – in the truest sense of the word – and some tips for you! How and why did you start cycling? I of course rode a bicycle when young, but the first time I bought a bicycle as an adult was in my late 20s when living in New York City. I found an old used bike for $50 and rode it a bit around Manhattan on weekends. The only real memory of that riding that I have is from July 4, 1976, which was the Bicentennial celebration of the 200th anniversary of the United States. I rode the bicycle from where I lived in the Soho area down to lower Manhattan where it was best to see the many Tall Ships that were sailing on the Hudson River. When I moved to Singapore in 1979 and met my wife, we started riding together on two three-speed Raleigh bicycles that we found in a local shop. While we started slowly, that turned into regular rides on weekends that would last three to five or so hours. We never went anywhere very fast, but we did get there. Moving to Houston in 1982 and eventually buying 10-speeds, we took advantage of the beautiful Texas countryside by diving out and doing long loops…occasionally getting hit by the roving thunderstorms that Texas is known for. One of the incentives back then was the Dairy Queen where we would stop mid-ride for a banana split. The year 1983 was our first self-contained tour when we bicycled with panniers from Houston to Austin and back over the week that included the July 4th holiday. Given the heat in the Texas summers, this was not the smartest thing we’ve ever done. We did, though, learn to truly appreciate a cold soda when we would stop at stores along the way. Despite my wife’s pain and swollen knees and the fire ants that found us at one of the campsites we used, this was not our last self-contained tour. A few years later when we moved to Japan, we continued to refine our approach to self-contained touring. There, we would often do one to two week tours by departing from Tokyo via ferry boat and then riding back to Tokyo over the following one or two weeks. 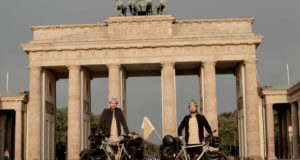 Moving to Moscow in the 1990s, we continued our touring by keeping two Dawes touring bicycles with friends in western Europe and then traveling from Moscow to wherever the bicycles were. That introduced us to riding in England, France, Switzerland, Germany, and Austria. What a pleasure. 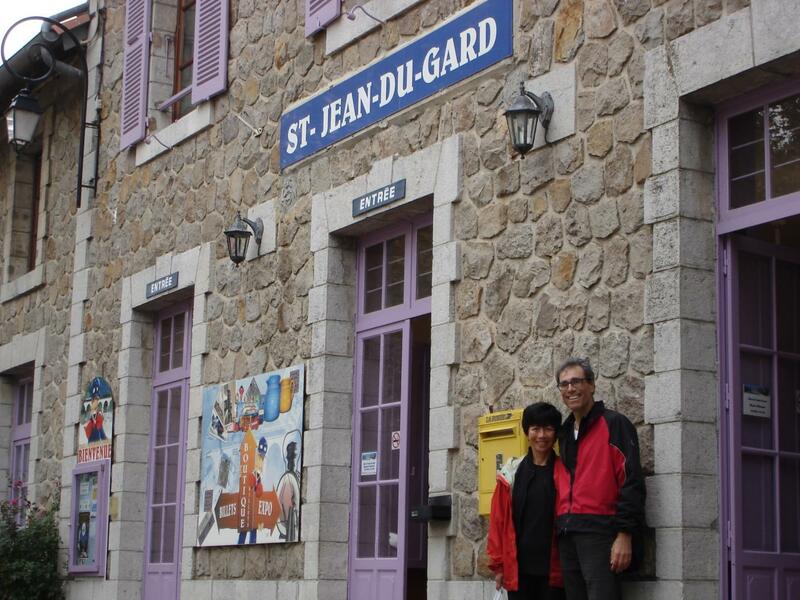 Upon my first retirement, though living in the U.S., we would return almost yearly to western Europe to do self-contained tours that would last from about a month to more than four months. In more recent years, we’ve spent some time staying in a rural gîte in the southwest of France with our two bikes and no car. The bikes we use are still the same Dawes touring bikes that we bought back in the 1990s. What are your greatest achievements in cycling? Greatest achievement? Neither my wife nor I think of achievements, per se. Rather, we primarily enjoy the process. I suppose that the “achievement” is that we are still riding regularly. 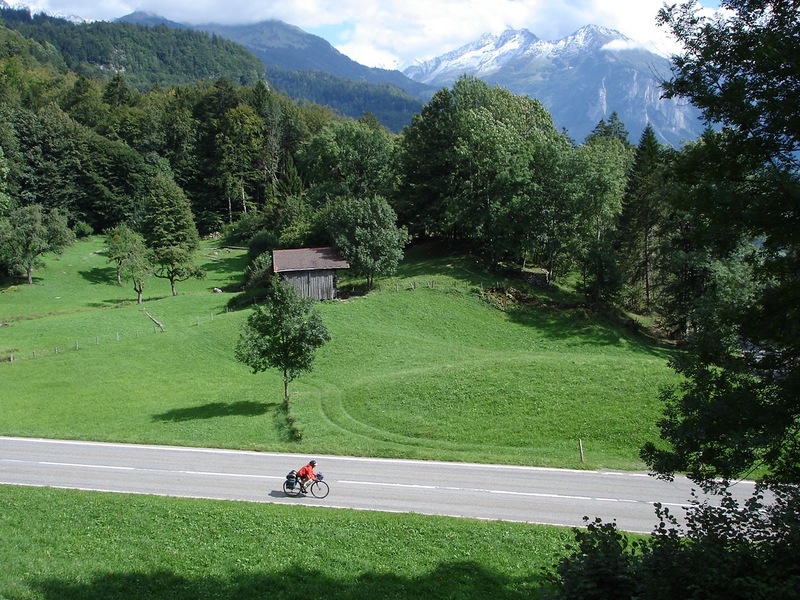 What makes a perfect cycling tour or route for you? 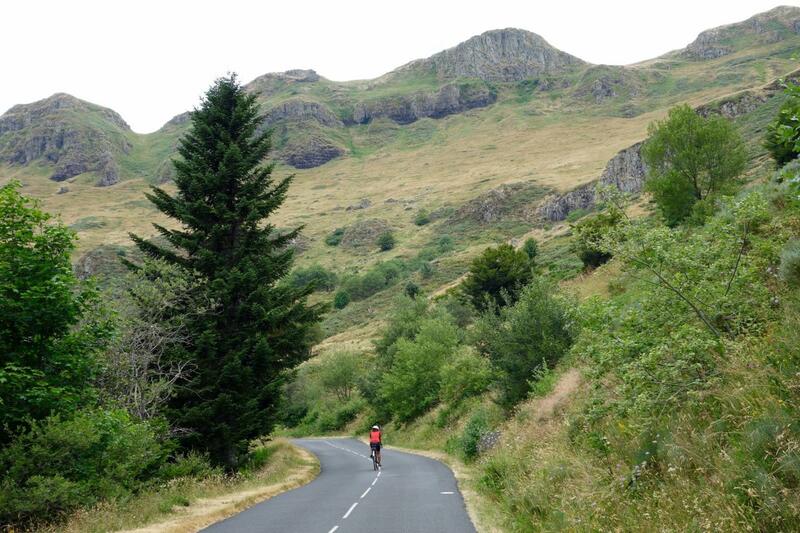 We’ve done the majority of our bicycle touring in the southern third of France, say, from the Cantal to the south. There are many areas (e.g. the Puy Mary and its Pas de Peyrol) that we’ve ridden through probably eight or ten times. We remember the date of the first time through the Pas de Peyrol since it was September 11, 2001, and we learned about the attacks on New York’s World Trade Center at dinner in our hotel, which was in the first small town we found upon our descent. Other favorite areas in France that we’ve never tired of and we’ve returned to numerous times include Le Garde, the Gorges du Tarn and the Gorges de la Jonte, Marvejols including the Aubrac, the areas along the north side of and in the Pyrenees from the Atlantic to the Mediterranean, Sisteron, Castellane, Annecy, etc. As we have friends living in Albi, we’ve bicycled into and out of Albi in pretty much every direction. 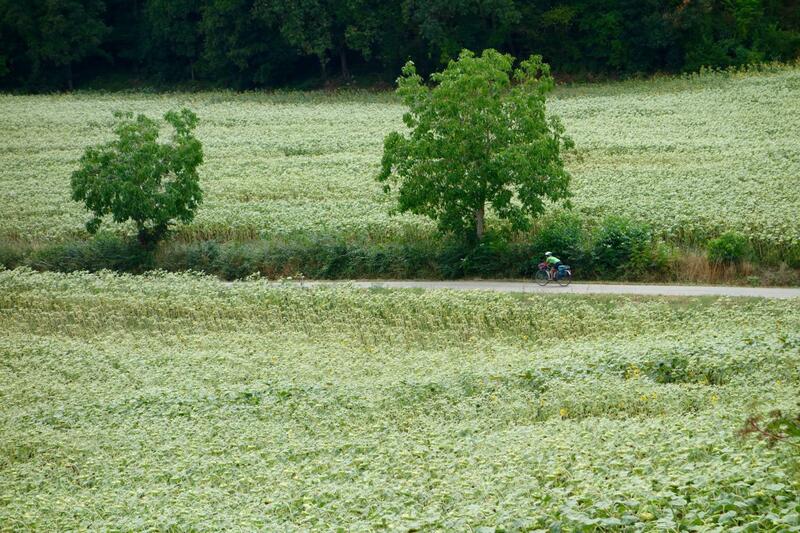 One of the nicest is the ride between Albi and Millau, riding under the Millau Viaduct along the way. What does cycling mean to you and how does it make you feel? Our day rides from home and our touring has been something that my wife and I enjoy doing together. As I’ve noted above, we enjoy the process rather than the destination. When I was working (typically 80+ hours a week), our weekend day rides and vacation touring were ways to enjoy spending quality time together. Now that I’m retired, we’ve continued that, except that our tours are several months long rather than just a week or two. And, as we’ve gotten older, continued exercise is increasingly important to staying mentally and physically healthy. My wife likes to say that she particularly likes the endorphins released while riding. For both of us, there’s also a sense of satisfaction of covering a number of miles under one’s own powers rather than from petrol. What are the advantages of bikes compared to cars and public transport? Now back in Seattle after spending time in France, we’re continuing our life with bicycles and no car. We did, though, just finish an almost one month trip covering about 7000 kilometers in a rented car with our bicycles in the trunk. This was our first long driving trip in over 30 years. While we enjoyed it, we won’t likely be doing another such driving trip anytime soon. Self-supported touring is simply much better and more satisfying. Our driving, along with a few bicycle rides, was in the Great Plains and the mountainous western parts of the U.S. The distances are vast, often with many miles between small towns and any source of water. By contrast, in western Europe, we have comfortably toured by bicycle always knowing that we would find some place to spend the night within a reasonable distance. And if there were no hotel or B&B in some small village, or if all were filled, we could always expect to find another village in a relatively few kilometers. I speculate that the fact that much of the western half of the U.S. was “settled” after the invention of the automobile affects the quality of the countryside for bicycle touring. The distances between towns and villages in the west often reflect the long distances that a car can travel and not the shorter distances that a person on foot or using a cart pulled by an animal could cover. 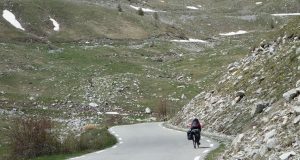 Further, in Europe, we have typically found a network of well-paved and maintained local roads with low-traffic that is perfect for bicycling and that allows one to bicycle to almost any destination. In contrast, especially in the western half of the country, there seem to be fewer such well-paved and maintained local roads, making it more difficult to find good low-traffic conditions. I speculate that some of the eastern U.S., having been settled several hundred years ago, might have better riding conditions with more local roads and shorter distances between towns and villages. Maybe we will try it sometime. 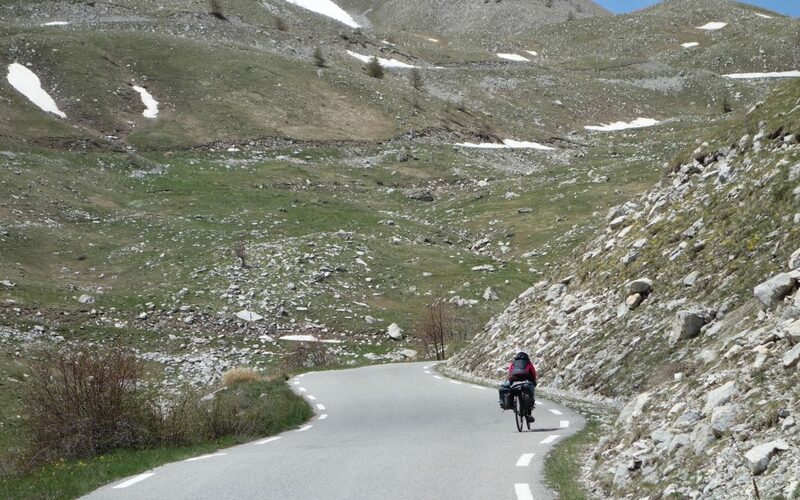 We expect, though, to return again and again to Europe for more bicycle touring in future years. The above is a little off-topic from your actual question. More on-point regarding advantages, riding a bicycle provides never-ending pleasure and a sense of exhilaration along with enhancing appreciation of one’s surroundings. There’s of course the added bonus of getting fit. Overall, it can be a feeling of being on top of one’s life. Are there any tips, suggestions or experiences that you want to share with other Bikemap users? Don’t be afraid to do self-contained touring. Enjoy the process and be less focused on the destination. 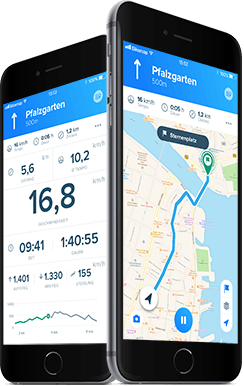 Does Bikemap improve your everyday-cycling-life? Bikemap has provided a very useful tool for recording our rides over the past decade or so, thereby allowing us a memory assist in where we’ve been. Hopefully, a few of these recorded rides have been useful to other bicycle tourists and the Bikemap community. Jeff, thank you so much for your time! And keep on riding – but we are pretty sure you will! Are you already part of our community on Facebook? Share your tips and experiences with almost 300 000 other friends of cycling and find the newest information about Bikemap!